At Knotty Pine Cabins, no two cabins are alike! We pride ourselves on being able to design and build custom homes for each individual customer. There’s no such thing as “choosing” a floor plan – you and your family get to work with one of our knowledgeable representatives to design a floor plan that suits your every need. 1. Start with the basics! How many bedrooms and bathrooms do you want? What type of foundation will you be placing your cabin on? Do you want laundry facilities on your main floor? Do you want a deck or covered porch? 2. Always keep your land in mind. Consider the required setbacks, slope of the lot, existing landscaping, future landscaping, and neighboring properties. 3. Determine what direction your cabin will be facing on your lot. It’s important to keep this in mind when determining room placement and, of course, window placement. If you love the sun, having ample windows along your south-facing wall is a must. If you work night shifts or just aren’t a morning person, consider placing your bedroom along the north- or west-facing wall. 4. Consider the flow of the cabin. Does the placement of the rooms make logical sense? Does the master bedroom offer enough privacy? Is there a mudroom or closet close to your main entryway? Are the plumbing and mechanical components in the best possible location? 5. Don’t just build for today, build for the future. If you’re worried about accessibility, a master bedroom on the main level is the way to go. If you have a growing family, an open-concept loft with ample area for extra beds may be a good option. The sky is the limit when it comes to designing your custom home! If you’re having a tough time getting started, give us a call toll free at 1-877-854-2224. With a little bit of guidance, designing your Knotty Pine Cabin is sure to be an exciting, rewarding, and stress-free process! Purchasing a cabin is undoubtedly an exciting process; however, you may find yourself full of cabin maintenance questions. What do I need to do to my Knotty Pine Cabin once it’s been built? How do I best protect my investment? We’re here to answer the top 5 cabin maintenance questions we get asked on a regular basis! 1. Do I need to treat the exterior of my Knotty Pine Cabin? 1) It will prevent the pine from turning grey with prolonged UV exposure. 2) It will protect the pine from water and insects, thereby prolonging the lifespan of your siding. 3) It keeps your cabin looking brand new! 2. What do you recommend treating the exterior pine with? There are several different products that you could use to treat your pine siding. If you’d like to keep the natural wood look, we’d recommend treating your Knotty Pine Cabin with a linseed oil formula. This is typically applied in two coats using a regular 4″ staining brush. If you’d prefer to add a bit of color to your Knotty Pine Cabin, we’d recommend a high-end wood stain, such as Beauti-Tone Wood Shield Best available at Home Hardware. It comes in a variety of colors and coverage options, from semi-transparent to solid hide. For best results, always select a high-quality stain that penetrates the pine, otherwise you may end up with a finish that peels and flakes off quickly. 3. How often will I need to re-treat the exterior pine? The frequency of reapplication will be dependent on several factors including the product used to treat the pine and the sun exposure. With the linseed oil formula, reapplication is roughly every 5-7 years, on average. 4. Do I need to treat my deck & railings? Though we build our decks & railings out of pressure treated lumber, we still recommend treating the wood after it’s been installed. Though pressure treated lumber is treated with a chemical that helps protect the wood from water and insects, staining or sealing your deck provides an extra layer of protection and is thought to reduce surface cracking. 5. Do I need to treat the interior of my Knotty Pine Cabin? While the interior pine does not need to be treated, you may choose to stain, paint, or white wash some of your interior walls. If you’re wanting to add a bit of contrast to your Knotty Pine Cabin without going overboard, staining your trim and handrails is always a great option. Tip: Choose a color that matches your kitchen cabinets to keep your cabin looking uniform. Have a question that we haven’t answered? Feel free to give us a call toll free at 1-877-854-2224 – we’d love to hear from you! Cabin Heating Options – Which One’s Right for Me? As the days grow colder, you may find yourself wondering what the best heating option is for your current or future cabin. To help you out, we’ve put together a list of the 4 most common heating systems used by our customers. Read on to find out which one is best suited for you! 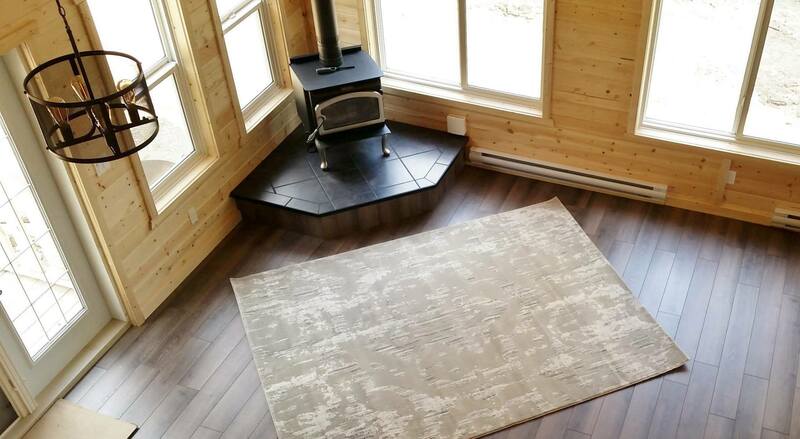 Nothing says “cozy cabin” better than a wood stove! As the name implies, wood stoves heat your cabin by burning wood fuel. Why choose a wood stove? 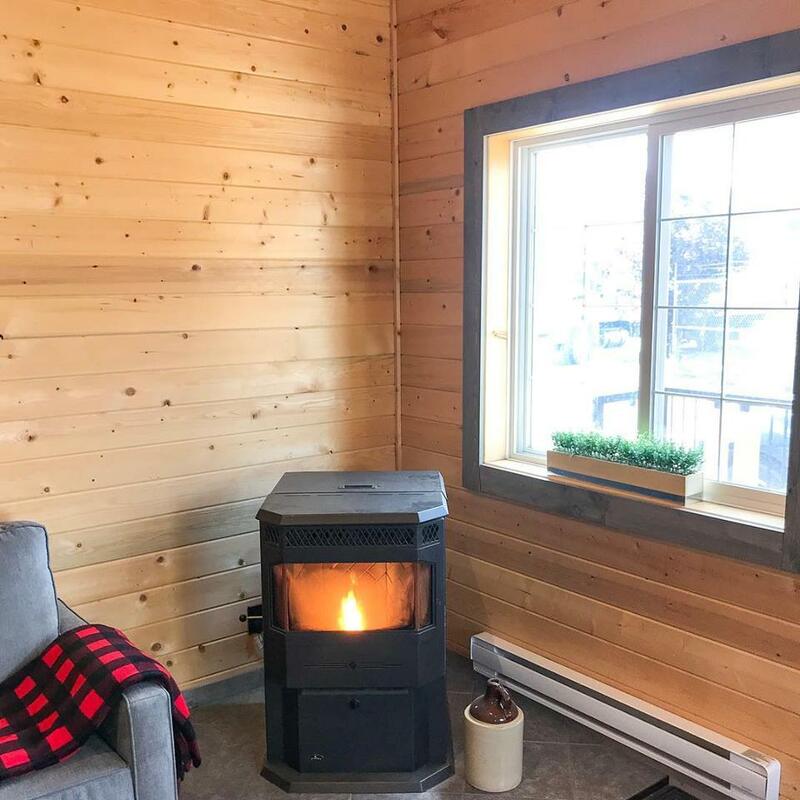 With a similar appearance to the wood stove, the pellet stove heats your cabin by burning hardwood pellets made from compressed sawdust, branches, and other byproducts of the lumber industry. Why choose a pellet stove? Electric baseboard heaters are zonal heaters that are typically controlled by a thermostat. They contain an electric heating element encased in metal pipes surrounded by aluminum fins. Why choose electric baseboard heaters? Commonly found in residential houses, furnaces work by blowing heated air through ducts that lead to the different rooms throughout the cabin. Cabin furnaces typically run off natural gas or propane. Why choose a traditional furnace? When it comes to heating your cabin, the possibilities are endless! If you don’t see your desired heat source listed above, don’t panic – Knotty Pine Cabins can be heated with whatever heating system you feel is best for your cabin and/or location. Give us a call to find out which heating option we’d recommend or visit our show home to see which heating system we’ve installed! Thinking of building a garden suite on your Edmonton property? Great news – with the recent change in regulations, you may be able to do just that! Let us walk you through some of the basic garden suite development regulations in Edmonton. A garden suite is a one- or two-storey stand-alone living space built in the backyard of a single detached home. Also known as a garage suite, carriage house, backyard suite, laneway house, or accessory dwelling, garden suites feature a minimum of a kitchen, bathroom, and living room. Who’s permitted to have a garden suite? Two key factors come into play when determining if you’re permitted to build a garden suite: your lot zone and lot size. Garden suites are now permitted in most residential zones including: RF1, RF2, RF3, RF4, RF5, RF6, RSL, RPL, RR. RMD, TSDR, TSLR, GLD, GLG, HVLD, GHLD, and SLD. Not sure what your lot is zoned as? Enter your address in the City of Edmonton Zoning Map! Don’t see your zone listed above? Don’t panic – take a quick read through this City of Edmonton garden suites brochure to determine if garden suites are discretionary in your area. The lot size requirement is dependent on your zone. In zones RF1-RF6, your lot must be a minimum of 360 m2. For the remainder of the zones listed above, your lot must be a minimum of 280 m2. If your lot doesn’t happen to meet the minimum size requirements, you may apply for a variance. Under said circumstances, a development officer will determine whether a garden suite is suitable for your lot. Are there specific design requirements for a garden suite? There are many regulations when it comes to the design of your garden suite. Let us walk you through some of the basics. The maximum height of your Edmonton garden suite will be dependent on your zone, property type, and style of roof. For properties with a back lane, a sloped roof must not exceed 21 ft while a flat roof must not exceed 20 ft. For properties without a back lane, a sloped roof or flat roof must not exceed 14 ft. To see what zones allow for higher roof heights or to determine how to measure roof height, visit the City of Edmonton website. While garden suites must not exceed 1291 sq ft including garage space, the total allowable building size is determined based on the floor area & building footprint. The maximum floor area of living space must not exceed 807 square feet. If you’re planning on building a two-storey garden suite, be sure to check the City of Edmonton website to determine the maximum allowable second storey floor area in your zone. When it comes to the building footprint, the requirements vary based on zone. For zones RF1-RF6 and RA7-RA9, your total footprint for all buildings must not exceed 42% of your lot, with a maximum of 18% being for your garden suite. In all other zones, your garden suite is permitted to cover 2% more lot area than what’s permitted for a normal accessory dwelling, such as a detached garage. For further information on building regulations, be sure to check out the City of Edmonton Garden Suites How-To-Guide. Why build a garden suite? Garden suites are a great way to increase your property value, create an additional source of income, or simply create space for family. Looking to get funding for your garden suite? Consider applying for a Cornerstones II grant to receive up to $20,000 towards your eligible building costs. Looking to build a garden suite in an area outside of Edmonton? No problem – we’re happy to work with you to design and build a structure that meets the requirements in your area. Start planning your garden suite today! Give us a call at 780-484-2224 to discuss floor plans and pricing. Have you made the big decision to place a cabin or bunkhouse on your lot? Do you find yourself wondering what type of foundation would be best for your new addition? If so, you’ve come to the right place! 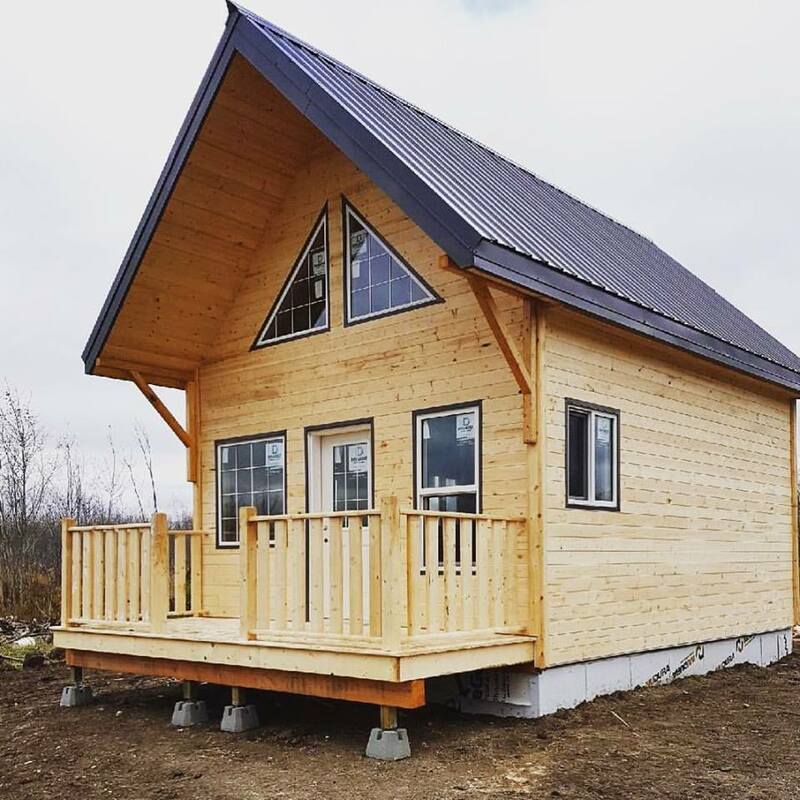 With over ten years’ experience building cabins, cottages, bunkhouses, and sheds, Knotty Pine Cabins has built on nearly every type of foundation imaginable. Let us help you weigh the pros and cons of the four most common types of cabin foundations that our customers use today. A basement foundation is a type of cabin foundation that allows the lower level of your cabin to be fully or partially below ground level. It typically consists of a concrete pad on the bottom and concrete walls that extend from the pad to the desired above ground level. A basement foundation is commonly used by individuals looking to create additional living space without expanding their cabin footprint. Crawl space foundations consist of concrete perimeter walls that extend 2-4 feet above the ground level – just high enough for someone to crawl underneath. A crawl space foundation will typically have a layer of 6-mil polyethylene plastic spread over the floor to prevent moisture from entering from below. Aside from elevating your home off the ground, crawl space foundations offer a convenient location for you to hide the guts of your cabin – plumbing, electrical wiring, duct work, heating, air conditioning, etc. Screw piles or helical piles are large tubular steel screws that are wound deep into the ground using a hydraulic motor, typically mounted to a skid-steer or excavator. They’re installed below the frost line; therefore, they’re unaffected by temperature fluctuations and ground movements. For that reason, screw piles offer superior stability in areas with poor soil quality and on sloped lots. On-grade skids are pressure treated timbers placed directly on the ground. The ground below the skids must be properly compacted and leveled in order for the skids, and ultimately the structure, to sit level. While on-grade skids may be a suitable option for a small cabin, bunkhouse, or shed, they are not ideal for structures over 400 square feet. Looking to use a type of foundation that you don’t see listed above? No problem – we can install cabins on whatever foundation you feel is most suitable for your lot! Give us a call at 780-484-2224 to learn more about our quality prefabricated cabins. Feel free to ask us what type of foundation we would recommend for your lot, cabin, or location. Guest houses have many benefits as far as what they bring to your property. From offering a quiet space for your guests to relax, to increasing your property value, the benefits are extraordinary. 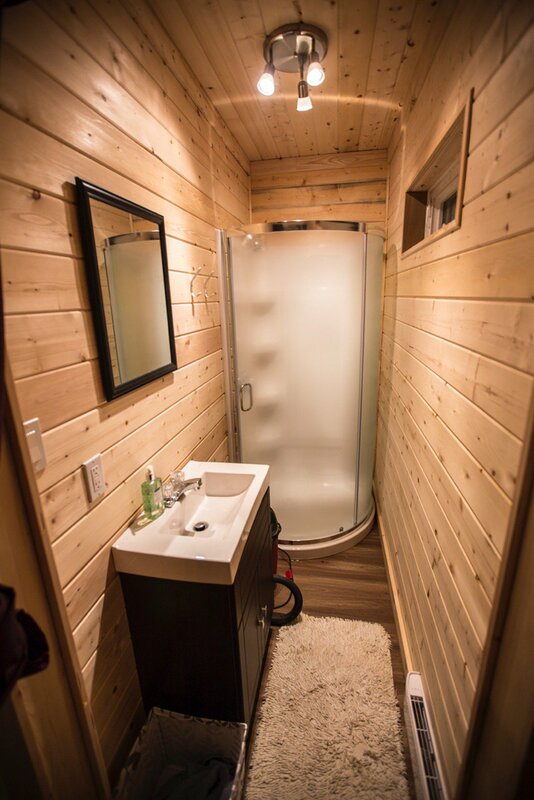 Let us run you through the top 5 reasons why our customers are building Knotty Pine guest cabins across Canada. 1. Guest houses increase your property value. One of the most obvious benefits of an accessory dwelling such as a cozy guest cottage is the value it adds to your property. While many home buyers enjoy the idea of utilizing rental income to cover a portion of their mortgage, there’s currently a staggering number of individuals seeking real estate with an in-law suite for family members to utilize. With more individuals moving towards multi-generational living, your quaint guest cabin will inevitably help your property stand out from the crowd when it comes time to sell. Not looking to sell your property anytime soon? Read on to learn about some of the more immediate benefits. 2. Guest houses offer the potential for a secondary income. Leasing your guest cabin is a great way to earn extra income. Depending on the location of your property, you may opt for a long-term tenant or you many choose to utilize your guest cabin as a short-term vacation rental. While short- and long-term rentals each come with their own perks, they both offer the potential for you to earn upwards of $10,000 annually. 3. Guest houses offer a comfortable living space for guests. 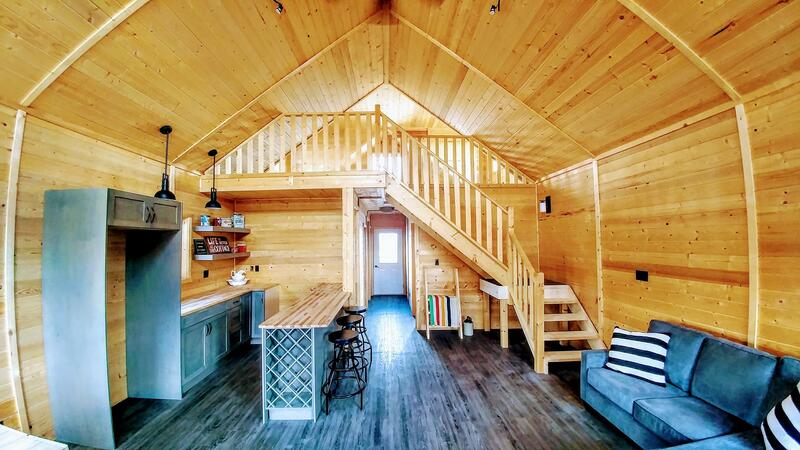 Whether you’re looking to accommodate guests but don’t have the space in your home, or simply want to provide your guests with a comfortable area of their own, a guest cabin or bunkhouse is the perfect option. While most guest houses include a private bedroom and bathroom, they may also include features such as a fully-functional kitchen and living area. 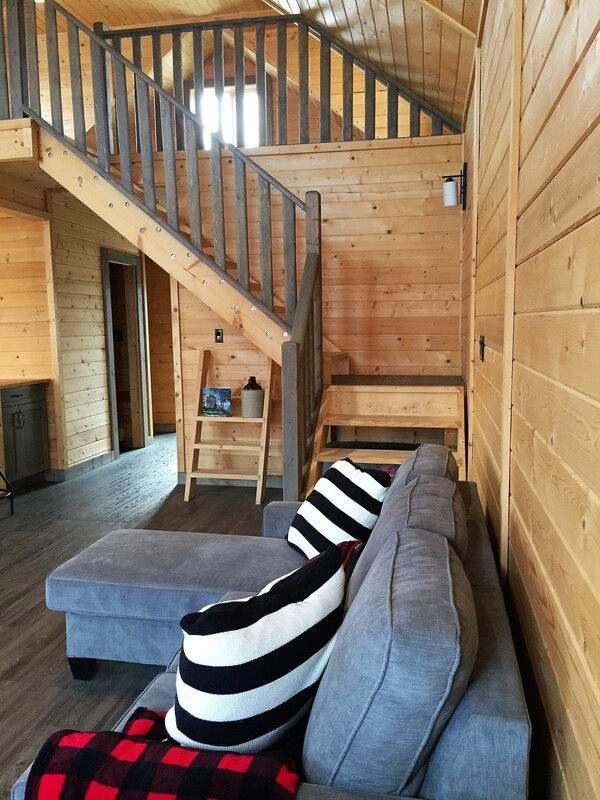 With customized cabin packages, Knotty Pine Cabins can help you design a guest cottage with as many or as few features as you wish. 4. Guest houses allow for comfortable multi-generational living. More and more Canadians are embracing the idea of multi-generational households due to the financial benefits they offer. Whether you’re looking for somewhere to house adult children or wish to keep mom & dad close by, a guest cabin offers the perfect opportunity for you to do so. Don’t let the financial benefits of multi-generation living impact your privacy – build a guest cabin that your family members can comfortably enjoy without impacting your current household dynamic. 5. Guest houses offer the perfect place for you to escape for a relaxing moment. Looking for somewhere quiet to work from home? Want to escape from the kids to watch the game? With a guest cabin close by, the options are endless. 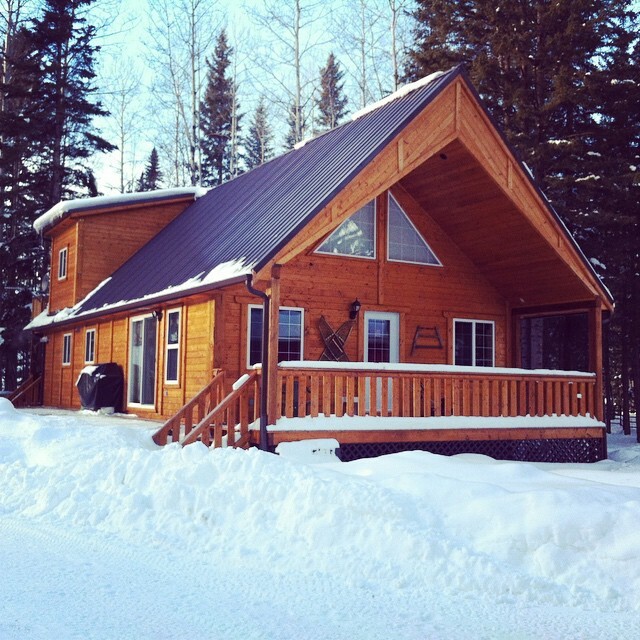 Knotty Pine Cabins offers customized cabin packages to suit your every need. 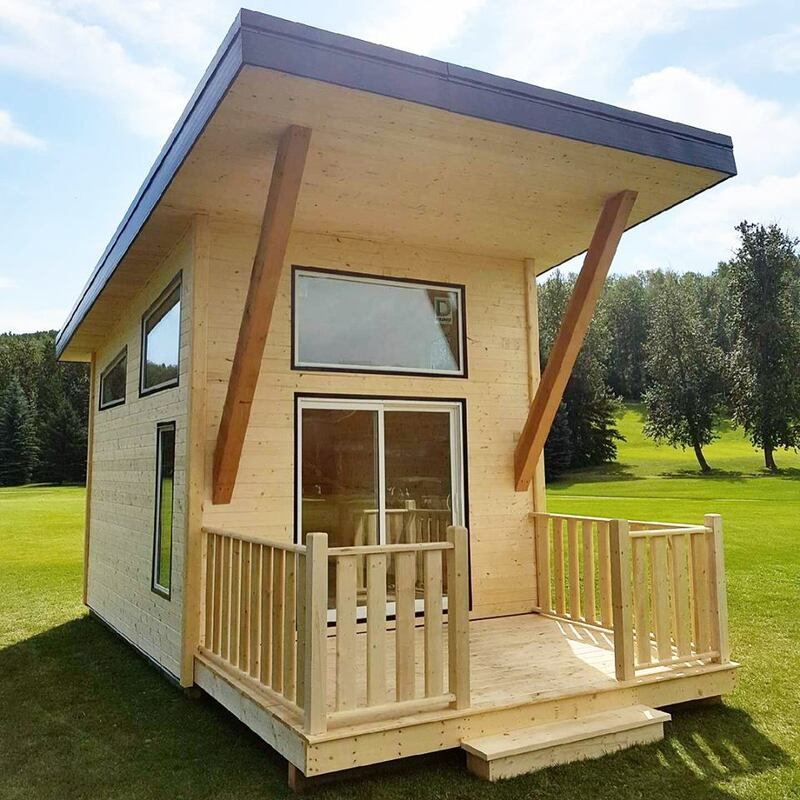 Whether you’re looking to build a cozy 12 ft wide guest cabin or a larger 30 ft wide guest cabin, our pre-fabricated cabins are always a great choice. 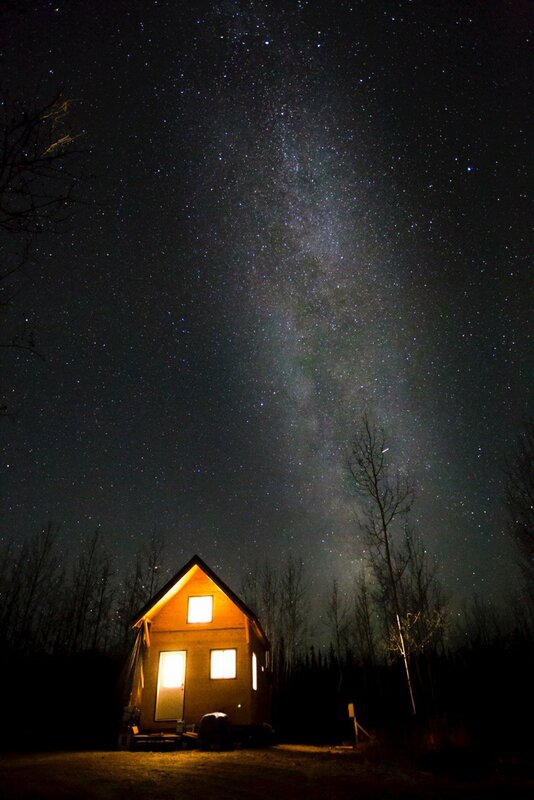 Give us a call at 780-484-2224 to start planning your guest cabin today! Our friends over at Two Cowboys Productions spent the day with us a few months ago and captured a very lovely video of some of the things we do at Knotty Pine Cabins. Take some time to watch at the link below! HOW BIG DO YOU WANT YOUR CABIN? A pre-fabricated log cabin can be a home for you and your family throughout the entire year, or it can be a special place for you all to enjoy as a getaway from your busy lives. Purchasing a pre-fabricated wood home can save you time and money, allowing you to start enjoying your new cabin as soon as possible. When you are purchasing a log cabin, you will need to decide how big you want your cabin to be. Here are a few tips to consider when choosing the size of your new cabin. 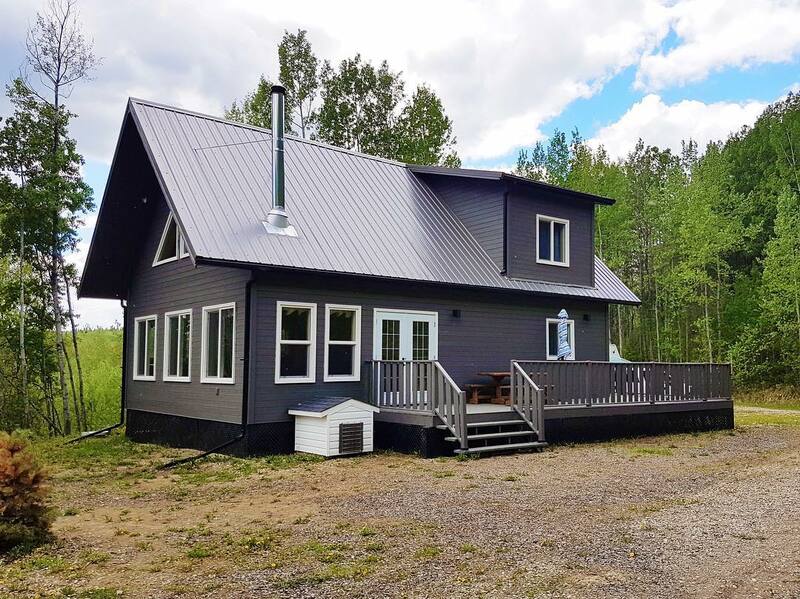 If you want your cabin to be a simple, solitary retreat in the woods, you will not need as much space as a family who wishes to use their cabin as a vacation home to share with friends will. Pre-fabricated cabins come in a variety of sizes to suit your occupancy needs. For example, for someone who wants to use a cabin as a solo sanctuary, a 12’x12’ model would probably suffice. Pre-fabricated cabins go all the way up to 24’x48’, which is perfect for families who plan on vacationing with children or friends. Knotty Pine Cabins can easily customize your new log cabin so that it is exactly what you want. Contact us at (780) 484-2224 to find out more about our cabin kits. Your new vacation cottage is within reach, so call us today. 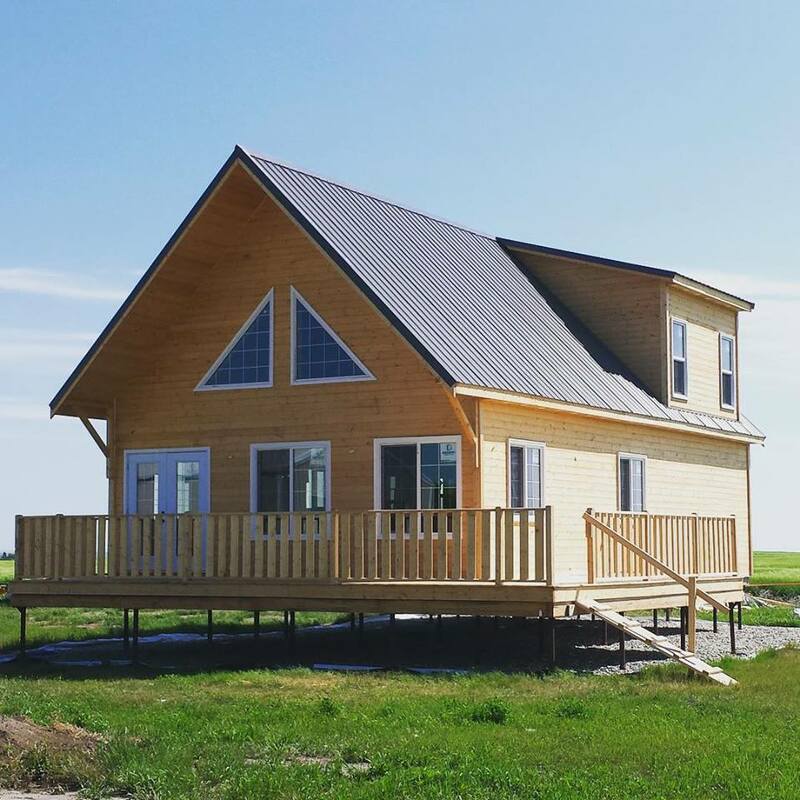 What Are the Advantages of Purchasing a Pre-Fabricated Cabin? Having your very own cabin to enjoy by yourself or with your family is something that many people dream of. Pre-fabricated cabins can make your dream a reality quickly and easily so that you can soon have a refuge from your busy life. Whether you want a log cabin to live in year-round or one that you can use for vacations, purchasing a pre-fabricated cabin can save you time and money. 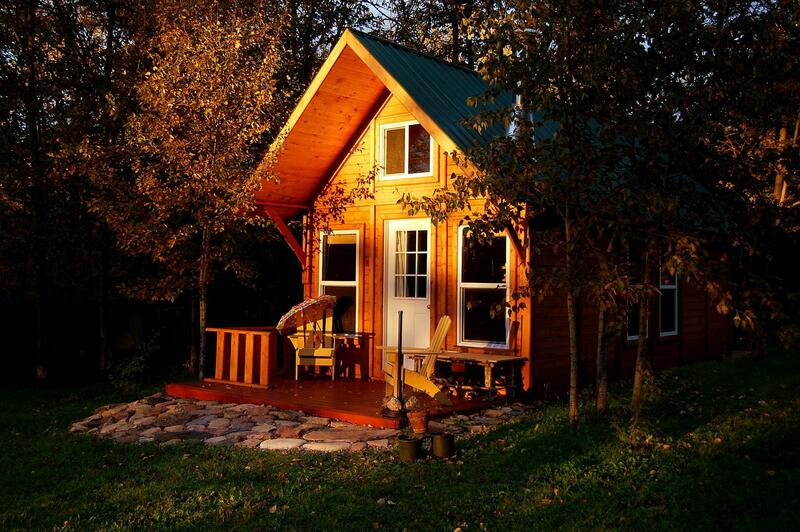 Keep reading to learn more about the advantages of buying a pre-fabricated cabin. Many people believe that they cannot afford their own log cabin. One advantage of pre-fabricated cabins is that they are significantly less expensive than existing cabins. Because the materials are uniform, buying a pre-fabricated cabin also costs less than designing and building a new home on-site. Pre-fabricated cabins are easy to assemble—in fact, many customers prefer to do the work themselves, which can further decrease costs. Building a cabin from raw materials could take you anywhere from three months to a year or more, depending on the complexity of the project. The planning of a new cabin can also be time-consuming, and any glitches could delay construction. 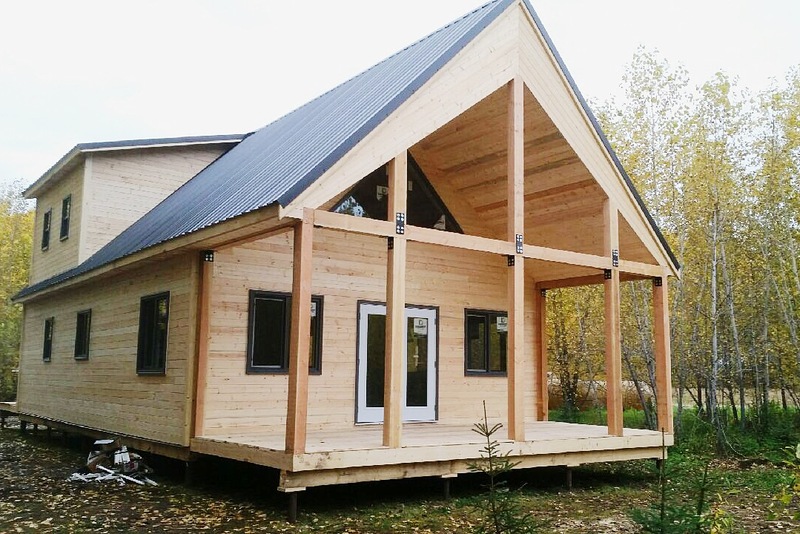 A pre-fabricated cabin can be erected in a matter of days, so you can start enjoying your retreat that much sooner. A log cabin can elicit memories of past times when life was less complicated. Your pre-fabricated cabin can be a place for you to get away from it all, and can be as simple as you want it to be. The design is already taken care of, so all you need to do is relax and enjoy your new home away from home. 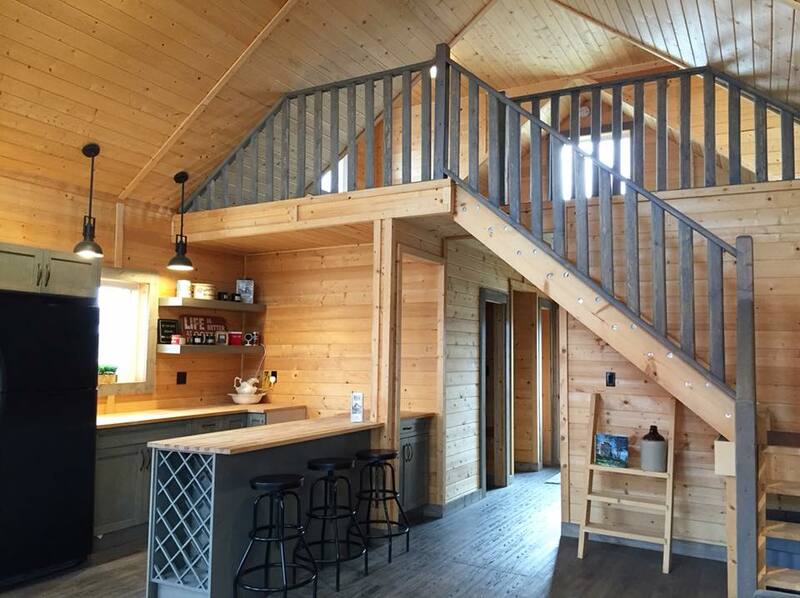 Knotty Pine Cabins specializes in creating quality pre-fabricated cabins and custom wood homes. Contact us at (780) 484-2224 or visit our website to learn more about our cabin packages. You’re sure to find at least one that suits your needs. Many people mistakenly believe that they can “buy” their way into a greener lifestyle, through such purchases as hybrid cars and solar panels. However, according to the green living expert in this video, that is not way to live an eco-friendly life. According to the expert, green living is actually about having a certain mentality about the way you want to live your life. She suggests reading ingredient labels on products that claim to be natural and focusing only on the eco-friendly activities that you care about most. Moving into an energy-efficient wood cabin is another great way to live a greener life. 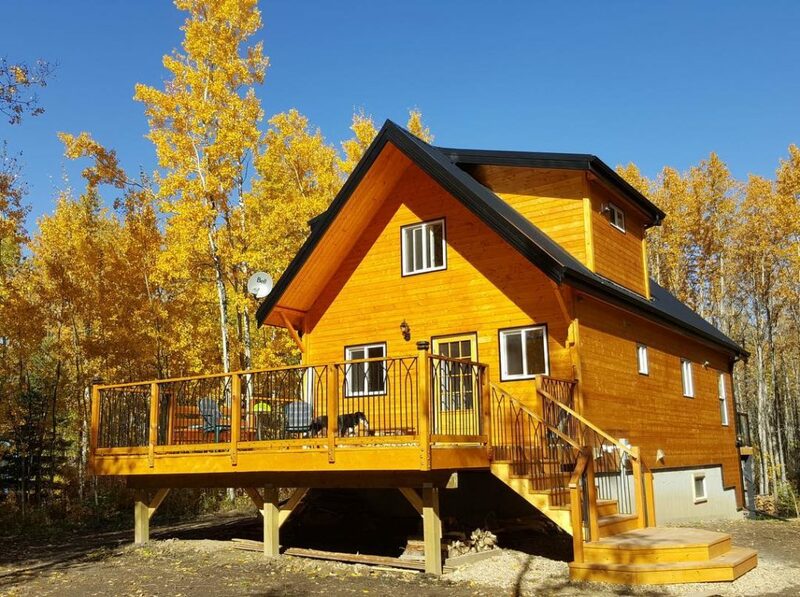 For more information on how wood cabins are better for the environment than traditional building materials, call Knotty Pine Cabins at (780) 484-2224 or visit our website.